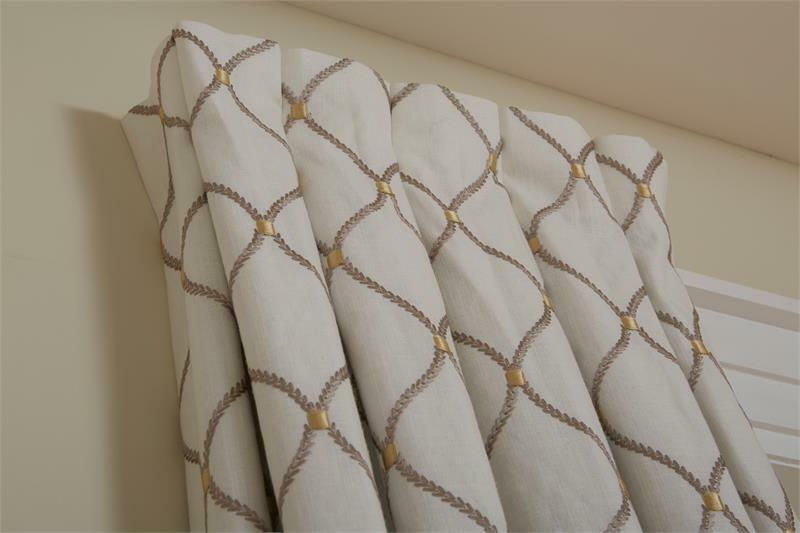 Box Pleat Style Curtains feature two equal folds of fabric are folded away from each other in opposite directions on the front of a length of fabric.. Pleated draperies are attached to a rod using pin hooks. For additional trim such as edge banding, inset banding, fringe or other tassle options click on link below swatches or please contact customer service at 877.717.1120 or via email at customerservice@bestwindowtreatments.com. This 40" width drapery pair is sewn with 2.5x fullnuess (100" width of fabric). Two panels are perfect for standard 24" - 40" wide windows. 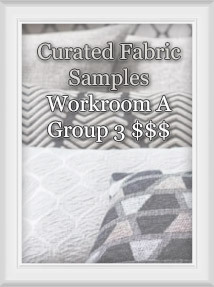 For a complete window treatment ensemble any of the fabrics below can be made into any of our 6 complimenting custom shades and over 20 styles of custom top treatments. Delivery Time via UPS: 3-5 Standard Days, unless expedited request. Pleated draperies will arrive fan-folded, banded, covered in heavy duty bags and boxed for shipping. 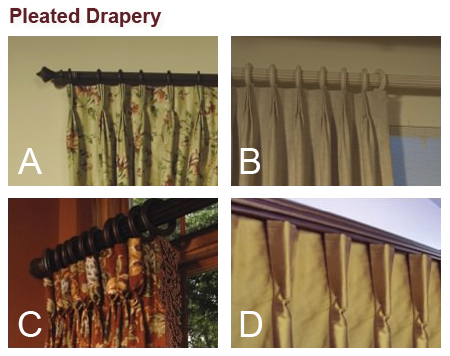 For installation, draperies will need to be professionally dressed and steamed to look their best. A professional drapery installer may be found in the yellow pages or on the internet. Privacy or Blackout Liners may be upgraded to increase your privacy while reducing or eliminating light. Tie Backs can be added to give your drapery the pulled back, off the window look. Tie-backs are 4” tall and long enough to pull back the treatment half the width of the drapery panel. 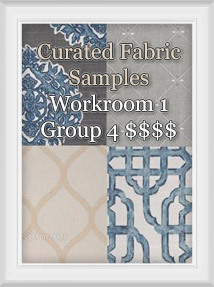 They are flat, fabric wrapped buckram. Outside Mount - Outside mounted treatments will be made to the exact dimensions provided. Width: Measure the exact width of the window, including any frame. Add a minimum of 4” to each side (8” total overlap) to ensure light control and privacy. Height: Measure the height of the window from the top edge of the molding to the bottom edge of the molding, sill or floor. Add a minimum of 4” to allow for an adequate mounting area above the window. Note on Returns - The standard return size for draperies is 3-1/2” for pleated styles and 4” for Side Panels. Inside Mount - Provide the exact sizes of the opening. 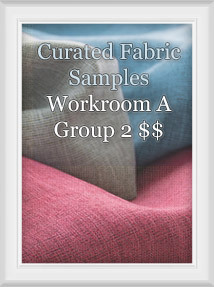 The workroom will make all necessary deductions for a perfect fit. Width: Measure inside the window casing at the top, middle and bottom. Record the narrowest measurement. No deduction will be taken on width. It is recommended Decorative Traverse Rods, Draperies & Side Panels be vacuumed periodically with a brush or drapery hose attachment. Professional cleaning is recommended for all Custom Drapery Panels. A professional drapery cleaner may be found in the yellow pages or on the internet. The standard pin setting is 1-3/4”down from the top of the drapery.Other pin settings are available upon request at no charge. The pin setting for an under treatmentis 1/2”. When ordering a drapery with a Decorative Traverse Rod the pin setting is 1/8”. 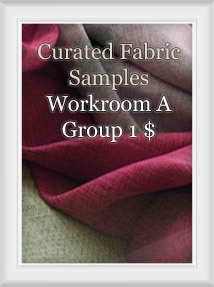 The workroom will make a 1/2” deduction from the height of draperies used as an undertreatment. 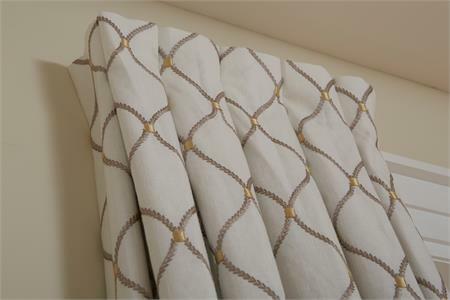 Pleated Draperies mounted on decorative poles with loose rings may “spring back” slightly from the closed position. To prevent this from occurring order the drapery 10% wider than the pole width. Example: Using a 90” width.10% is 9”. 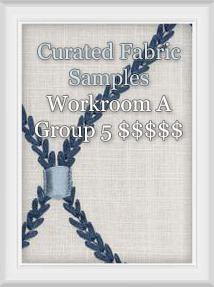 Add this 9” to the drapery width. 90” + 9” = 99”.The rod will remain at 90” wideon the order and the draperyshould be ordered at 99” wide toavoid spring back. Note: When ordering loose rings for pleated draperies, add one extra ring to the above chart to account for the lead pleat.